But the Pentagon and the U.S. national security structure is increasingly looking towards the shifting demographics around the globe - people have moved from rural areas, and shifted into cities. Where ever conflict stirs, there will be a need for military and SWAT response to the call. Entire cities will be locked down; door to door sweeps will often have violent ends. 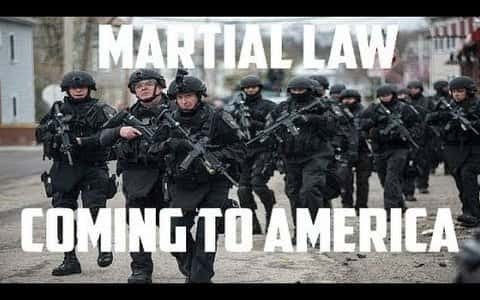 Increasingly, they are training for and expecting a homegrown conflict that will call for them to restore order in a major cities - and even hunt down suspects block to block, like in the Boston Marathon bombing incident, while making some significant infringement of our civil liberties. What do the elite know that we don't? Now, a major military scholar is calling for the creation of "megacities combat units" - a proposal that is a major and drastic departure from warfare of the past, which has been designed away from cities. Now, military and paramilitary units, as well as local law enforcement, much engage the population itself - with all the unpredictability afforded by a real life, complex situation filled with combatants, non-combatants and friendlies behind any and all doors, etc. With a heightened focus on terrorism and reigning in undocumented immigrants, there will be a tendency, if we are not careful, for a heightened militarized and police state atmosphere to arise - both at home, and in everyplace that they take the fight. Every year, more and more of the world's population moves into cities. The number of megacities is growing exponentially. Both of these global patterns and their inevitable consequences for military operations are well documented. Yet we still do not have units that are even remotely prepared to operate in megacities. If we want to find success on the urban battlefields the US Army will inevitably find itself fighting on in the future, that needs to change. Throughout history, military forces either sought to avoid or simply had no need to engage in urban combat. Most military doctrine, and the strategic theory it is built upon, encourages land forces to bypass, lay siege to, or--if required--isolate and slowly clear cities from the outside in. The great armies of the world have historically fought for cities rather than in cities, a distinction with a significant difference. In cases where military forces had no choice but to operate within cities, the environment, almost without exception, proved very costly in both military and civilian casualties. Today, many armies have accepted that global population growth and urbanization trends will increasingly force military operations into crowded cities, and military forces must therefore be capable of conducting the full range of operations in large, dense urban areas. One ongoing military study of megacities is the NATO Urbanization Project. In the project's most recent experiment, the NATO team conducted a wargame to determine the capabilities needed to achieve the goals of three likely missions in 2035: response to mass migration, natural disaster, and inner-city turmoil. Within these missions, the wargame specified that a brigade conduct three operations in a megacity--joint forcible entry, major combat, and subsequent stability operations--without unacceptable levels of military or civilian casualties. Of course, urban warfare is not exclusively a future phenomenon. Much has been learned from urban battles in recent history: the Siege of Sarajevo (1992-95); the Battle of Mogadishu (1993); Russian operations in Grozny (1994-95 and 1999-2000); US operations in Baghdad (2003) and Fallujah (2004); Lebanese operations in Nahr al-Bared, Lebanon (2007); and the Second Battle of Donetsk (2014-15). But the broad lessons of these cases have yet to truly inform Army training for urban combat, which for most units consists mainly of tactical training (e.g., room clearing drills with four-man teams). The Army would be much better served by the creation of an entire unit dedicated to preparing to operate in dense urban environments, particularly megacities. People are at their wits end, and many are on the edge of poverty - and for many, it just won't take much more to set them loose, and let riots erupt. Whether the system wants those to spread, or wants to suppress and contain them, they know they are coming. If the economic stability of a given region were to give way, nearly every megacity would spiral out of control and descend into absolute madness - whether or this continent or any other. Drills such as "Unified Quest" run yearly by the U.S. Army took a sharper turn in 2014 toward addressing the problem of combat in megacities - defined as cities with more than 10 million people, of which there already are nearly 25 and projected to total near 40 by the year 2025. The Pentagon's own solicitation early last year called "Thunderstorm Spiral" was a request for "help from technological innovators to take on the future of warfare." This appeared to indicate that in addition to boots on the ground, an additional pervasive centralized intelligence apparatus would be needed to properly plan for troop movements through such dense but vast environments that also would be made up of networks underground. New York, Boston, Los Angeles, Chicago, Houston and dozens of enormous cities around the world are all completely vulnerable. Depending upon the political situation, unrest, violence or whatever else could spread across the entire Eastern half of the U.S., and the entire country could face collapse as it has never before known it. It is only a question of timing and circumstance. There are some very major crises brewing right now. They are preparing; you should, too.